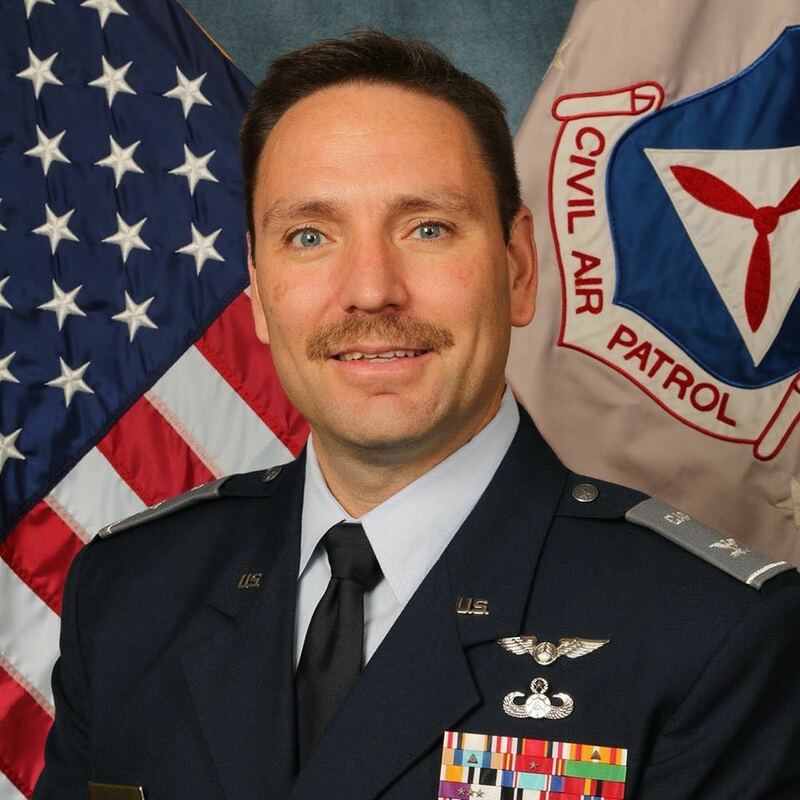 As a Civil Air Patrol member I pledge to promote an uncompromising safety environment for myself and others, and to prevent the loss of, or damage to Civil Air Patrol assets entrusted to me. I will perform all my activities in a professional and safe manner, and will hold myself accountable for my actions in all of our Missions for America. I have been trying to get back to writing a monthly (or at least quarterly) Commander's Commentary to fill you in on all of the items that are occurring across the Wing. For those who were not able to attend the Wing Conference, we definitely missed you. We didn't have room for anyone else in the rooms, yet we definitely missed getting to see you. This year we had approximately 340 attendees at the Wing Conference held in Greensboro. The conference committee worked diligently over the last year to plan and prepare for this event. The After Action Report "AAR" has already occurred and your ideas and comments are being included in the planning for next year. While there is always room to improve, I am thankful for a well attended, safe, informative, and enjoyable conference. For those who did not attend, we were blessed to have the National Executive Officer, Col Arlinda Bailey, and the Middle East Region Commander, Col Bruce Heinlein speak to us during the General Assembly. For those not aware, the Region is being re-designated as the Mid-Atlantic Region to better align with our geography and with the Air Force. You have probably read this in forwarded messages from Col Heinlein and will see more information moving forward. Lieutenant General Ralph A Jodice II (USAF Ret) was our guest speaker at the banquet on Saturday night. His time with us was encouraging and motivational. He compared the Air Force Oath to the CAP Oath for Senior Members and Cadets. I can not do justice in my summary to the moving words he spoke to the Wing. More information regarding General Jodice may be found at https://www.af.mil/About-Us/Biographies/Display/Article/105053/lieutenant-general-ralph-j-jodice-ii/. We were able to recognize the Of The Year award winners and present milestone awards to cadets as well as some Professional Development awards to senior members. We spent time discussing best practices across the Wing and covering items of interest submitted to Major Kathy Nicholas for seminar topics. For more information on the award recipients and the conference in general, our Wing PAO, Capt Lynne Albert, prepared an article that can be viewed on the Wing website: https://www.ncwgcap.org/index.cfm?fuseaction=article.display&articleID=757. At the bottom of the article is a link for you to view the photos taken at the conference. Thank you to all of the members who served on the conference planning committee, the conference speakers, and to all who were in attendance for making this event fun and informative. The core conference planning committee included Lt Col Ed Angelovich, Lt Col Shelley Gonzales, Lt Col Rich Tedesco (Tabasco), Lt Col Joe Weinflash, Lt Col Max Benbow, Maj Al Griffa, Maj Brendan Kearns, Maj Kathleen Nicholas, and Capt Lynne Albert. By the way, this barely scratches the surface of the events at Wing Conference. On Friday, members from across the Region and Wing attended the water survival course. On Saturday afternoon, the senior members were expanding their knowledge base while the cadets were able to spend the day at the GTCC campus. Many were able to spend time in the Red Bird simulators. Thanks to the GTCC staff for allowing our cadets to invade and use the facility for the day. Each year, we announce the Squadron of Merit. It is my pleasure to announce that this year's recipient of the Squadron of Merit for NCWG is NC-111 Search and Rescue Composite Squadron. The elements for presentation are not yet available for presentation; however, we will work to have them presented at the next Wing Commander's Call in May. There are always many other items occurring in the Wing. We currently have the Staff Assisted Visit (SAV) underway to help our staff to ensure that we are in compliance with the regulations on the Wing level. This typically happens half way between the Corporate Inspections to assist the Wing. With many in new positions on Wing staff since the last CI in 2017, now is a good time for a tune up. On Thursday of this week, Col Crawford, Lt Col Angelovich, Lt Col Michael Smith, Lt Col Paxton, C/Lt Col Cameron Smith, and two VAWG cadets visited the members of Congress (or their staff) from North Carolina for Legislative Day. All reports are that these were very good meetings. I am thankful for these members taking time to plan, prepare, and meet with our Congressional Members of Congress in DC. The Command Council continues through Saturday which allows the Wing Commanders to receive updates from National Staff. The weekend culminates in many joining for the annual Spaatz Award Dinner. There are some staff changes that have occurred within the Wing that I hope you will find interesting. We recently moved Lt Col Dennis Bissell from one of the Vice Commander positions to oversee the Inspector General (IG) program in North Carolina. He is also working with the future IG who will be Major Arthur Coburn. This change left us in need of a second Vice Commander to join Lt Col Angelovich. I am pleased to announce Major Brendan Kearns has joined the NCWG Command Team. This leaves a Group II Command vacancy. We will be seeking candidates for this position soon. Since the last time I put out a Commander's briefing, another key staff member to announce is that Major Bruce MacPherson has accepted the Wing Finance Officer position. Major MacPherson has served on and off of the Wing Finance Committee for many years. His experience has been relied upon by Wing Commanders past and during my term. I look forward to continuing to work with him. For those in need of his contact information, he can be reached by e-mail at bruce.macpherson@ncwgcap.org. We have added additional Wing staff. Lt Col Randy Borton, Major Gene Merklein, and Capt Jordan Crawford have joined the personnel staff. Major Kathy Nicholas has stepped down from the Aerospace Education staff after serving well and we have filled the position with Captain Don Piasecki. A little over a year ago, I asked our Personnel and Cadet Programs folks to post a monthly update on promotions and professional development levels for cadets and senior members on the Wing Facebook page. If you have not been checking this out, we have some busy folks. I look forward to seeing that posted each month and this month's posting is impressive as expected. Lastly, I was just informed that our new wing patch has been approved. This will be released to Vanguard Industries for production and you will be able to wear them soon. Thank you to each of you who comprise the 2000+ members of Civil Air Patrol in NCWG. To quote Capt Lynne Albert, "you guys are amazing."